The ICE statement notes that the return of the hydria was "part of a larger scheme by the Becchinas to sell illegitimately obtained cultural property". 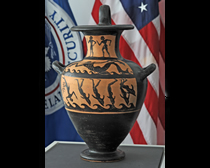 Moreover we are assured by the words of William Hayes, acting special agent in charge of Homeland Securities Investigations (HSI) Detroit: "And other governments around the world can be assured that HSI remains a committed partner in the effort to return stolen and looted priceless cultural objects to their rightful owners". Does this mean that ICE agents will be popping down to the Michael C. Carlos Museum at Emory University to investigate the collecting history of the objects that appear in the Becchina archive? 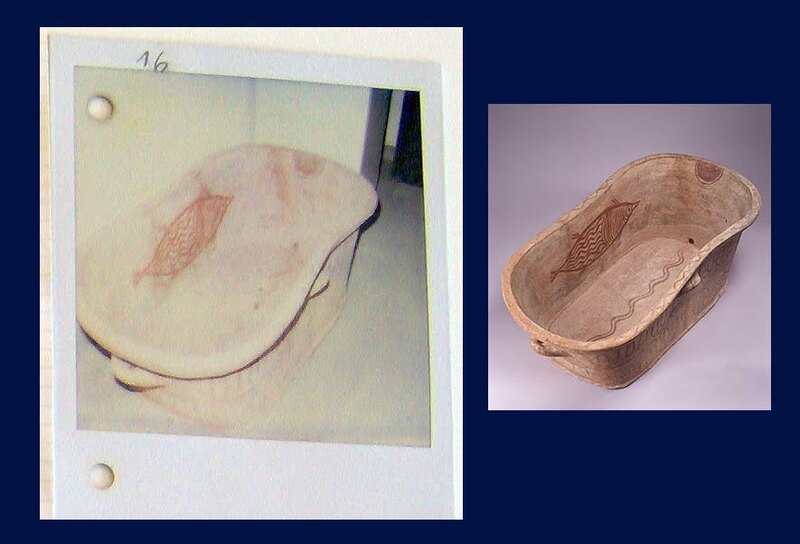 For example, what would they make of the pithos that features so clearly in the documentary evidence? Or what about the Minoan larnax? Or the Terpsichore? It does seem that the Hellenic authorities had asked for their return several years ago (see museum press statement). What the Toledo in fact indicates is that the focus will now shift from the Medici Dossier to the Becchina archive of some 10,000 photographs and documents. Will we seeing further returns during 2013? For the sake of pertinence, correctness and clarity, or, in short, journalistic ethics if you will, I believe the following statement ought to be rectified. "the documentation provided to the Toledo Museum of Art was falsified and part of a larger scheme by the Becchinas to sell illegitimately obtained cultural property." Now this makes more sense. No mention, as you can see, of a scheme linking the return of the artwork and further illicitous purveying plans. I trust you will be quick to rectify the citation. An updated post with a longer citation from the ICE Press Release has been posted here.